Understanding why your well failed is essential to finding an effective solution that will prevent future failures and lost revenue. A continuous rod string may fail downhole for a variety of reasons such as corrosion, fatigue, or weld quality, and Lifting Solutions wants to work with you to determine the cause. 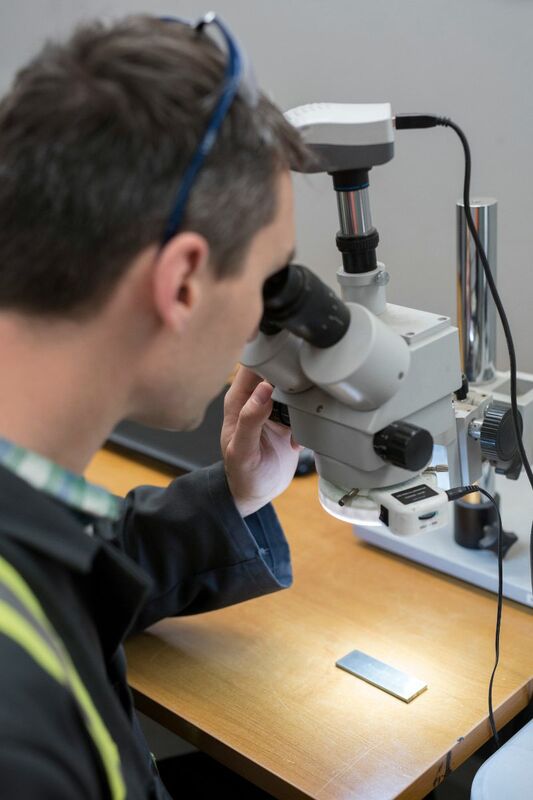 Our team of quality professionals uses metallurgical equipment to analyze Endless Rod® continuous sucker rod samples and determine the failure mode & mechanism, potential contributing factors, and provide recommendations to prevent future failures.